Mumbai: Actor-comic Sunil Grover says Salman Khan approached him to be a part of his former collaborator Kapil Sharma's comeback show but he declined due to scheduling issues. There have been rumours that Salman, who has produced Kapil's new comedy TV gig, has been trying to mediate a patch-up between the ex co-stars. The 41-year-old actor, who is part of Salman's Bharat, confirms the superstar brought it up in a discussion. 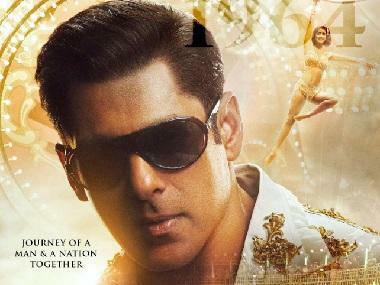 "Salman sir is producing that show. My own dates would have clashed (with Kapil's show) as I am doing a film with Salman sir. This show that I am doing for Star Plus fitted in the window that I had. "But he (Salman) did speak to me briefly about it (bringing two of us together). We had a very casual chat about it but nothing much," Sunil told PTI. When asked if he is ready to work with Kapil again, he says, "Time will tell, God will tell. Right now I am concentrating on my show and hope I am able to bring a smile on everyone's faces." Sunil is back with his own comedy show called Kanpur Wale Khuranas with frequent collaborators Ali Asgar and Upasana Singh, who have also been part of hit shows like The Kapil Sharma Show and Comedy Nights with Kapil. Ali and Upasana discontinued working with Kapil post the infamous mid-air fight between Sunil and him last year. The comedy chat show revolves around Sunil, who plays the role of a man, who has four sisters-in-law and a brother-in-law, played by Aparshakti Khurana. "Certain TV channels believe there should be a comedy show and we are thankful to them for believing in us and giving us the platform to make people laugh. The only intention is to bring smile on people's faces. "This format of celebrities walking in and doing fun interview remains the same but how we function within that frame is a journey," he says. The format of the show will see celebs visiting the show with the Khurana family entertaining them. So far veteran actor Dharmendra and Ranveer Singh along with his Simmba director Rohit Shetty have appeared on the show. In 2014, Sunil's own comedy show Mad in India aired on the channel, after he left Comedy Nights with Kapil amid issues with Kapil. The show failed to garner TRPs. As he again goes solo, when asked about the pressure considering the debacle of his previous show, the actor says, "There will be some hit shows, there will be shows that will not be accepted. But that does not stop me from working". "There are hundreds of shows that are made every year and only three-four turn out to be hits. The attempt always is to connect with the audience. I took this up as the show has a nice vibe. But there was some nervousness about how it will work and all." The eight-episode show will start airing from 15 December. Kapil too is set to return with The Kapil Sharma Show that is likely to go air by the month end. Talking about the comparisons, the comedian, says, "We love comparisons. We often love to compare ourselves - be it personally or professionally. But each individual has their own unique quality." Sunil says both the shows aim to bring out laughter and "the more the merrier". "There is so much of stress around and such shows only make viewers happy. I wish good luck to both the shows." Having done quite a few comedy shows on the small screen and winning over the audience with characters like Guthhi, Dr Mashoor Gulati and Rinku Bhabhi, Grover says there is no formula to success. "Once you think you have learnt the trick is where you have lost the trick. So the trick is not to get into the trick. The trick is to keep learning, understanding, to live in the present, be it in the moment and give your best.